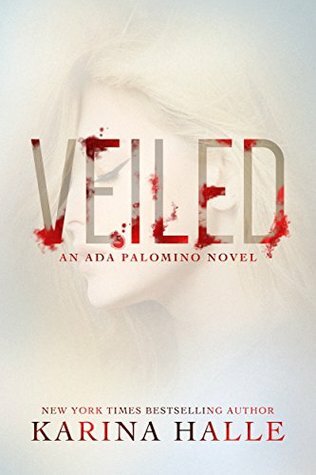 Veiled by Karina Halle is the much-anticipated spin-off book from Halle’s Experiment in Terror (EIT) Series. I cannot lie, I was so eager for this book! I scoured the internet for two years, trying to find any updates at all. I think Karina mentioned that the book was going to be released shortly after the final EIT book but she may very well have been burned out on writing paranormal romances for a while. All I can say is this book was worth the wait. This book features Perry’s younger sister – Ada. Ada Palomino is now 18 years old. When the book opens, we find that Ada has just finished her senior year of high school and has been accepted into a prestigious fashion school. Though she has always been a bit more level-headed than Perry, in the two years since her mother’s death, Ada has struggled at life emotionally. She struggles with depression and is kind of reckless. She leans heavily on Perry and Dex during this time. Enter Ada’s re-occurring dreams, this is where the nightmares begin. Every night Ada dreams that her mother is being tortured in the afterlife and that she is not in heaven but somewhere in the veil. The veil is the world that separates earth from heaven and hell. As Ada tries to make sense of her dreams, in walks the ever handsome Jay. She met Jay briefly at her sister’s wedding but hasn’t seen him since. He re-appears along with some mysterious new neighbors who might hold the key to making sense of Ada’s dream. As things get deeper with Jay, she discovers he has a dark past. Is the darkness behind him or is he the entity Ada should fear? Spoiler Alert! My review continues below and may contain spoilers. If you do not wish to be spoiled, you can jump to the rating. Even though Karina Halle took a short break from her Experiment in Terror characters, she jumped right back in as if no time at all had passed. 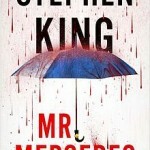 Dex and Perry were not featured as main characters in this book. However, we got to catch up with them in this book. They took a backseat to main character Ada but their inclusion felt organic and not forced. Ada’s relationship with Jay, while fast-forming, also seemed to clip along in a very natural wave. Though I was a little skeptical in the beginning (this is a standalone novel for now) about the impending instant-romance, to me, the connection made sense. It was also nice to see some of the beloved characters from the Devil’s Metal series (which, I have read but not yet reviewed). It’s really neat how Karina Halle managed to build this universe inclusive of Jacobs, demons, the veil, and characters with paranormal superpowers! My only frustration came in when Ada finds out that she is supposed to be this badass all-powerful demon slayer. The only trick up her sleeve is that she can put up crazy strong mental walls to block out the monsters. So, it’s like she can hide. We all know that Karina Halle can set up some suspenseful frightening scenes. So, I found myself anxious whenever Ada was approached by a demon or was forced to fight one. She never felt “ready” to me, even when she was supposed to be. We had some mentioning of her training with Jay but I never felt very confident overall that Ada was going to achieve badass status by the end of the book. There was a lot of “telling” not “showing” that she was powerful. I really wish this part had been fleshed out a little more so that it could be a bit more believable. Other than that, I read this book fairly fast. It was that good. I couldn’t put it down. I *think* I remember reading an article somewhere that mentions Veiled will become its own spinoff series. Though it did not end on a cliffhanger, the characters were left very open-ended, so this could easily turn into a series.